New and Improv(ing) Digitization Cost Calculator! In 2014/15 the Digital Library Federation Assessment Interest Group (DLF AIG) working group on Cost Assessment developed a beta version of a Library Digitization Cost Calculator. Recognizing that digitization is a costly business, the purpose of the Calculator is to support institutions in estimating the costs of digitization projects before they are launched  helping them to more accurately predict the resources needed for a given project. The original beta version relied on relatively few data contributions to produce a proof of concept tool that highlighted how average estimates of costs and time could be found for various aspects of the digitization process. The success of the beta version led the group to continue its work, refining the list of processes and data definitions included in the Calculator, and modifying the Calculator's interface based on feedback from the digital library community. The Calculator's success and accuracy relies on data submissions from cultural heritage institutions; the more contributions the Calculator has for a single process, the more helpful the tool will be. In order to encourage participation across a greater number of institutions, and make the data contribution process as low-barrier as possible, the working group launched a Day of Data campaign in the summer of 2016, which encouraged institutions to collect and contribute data from a single day (or more) of digitization activity. This effort was a huge success, resulting in over 60 usable data contributions from all types of institutions. There are seven processes included in the processes and definitions document that do not currently appear in the calculator: dis-binding, flattening, supporting, background removal, stitching, re-binding, and re-fastening. This is because we have not yet received any data contributions in these fields. The working group continues to actively seek data contributions. Please consider participating! The more data contributed, the more useful the tool becomes for the digital library community. To contribute data to this project you commit to timing yourself, staff, or students as they perform one or more processes. Contributions in any of our processes are welcome, though the seven areas mentioned above are of critical importance. The working group aims to make data contributions as simple as possible; to this end it is important to note that contributors are not required to commit to timing all parts of a given project. ArchivesSpace is an open source, community-supported archives information management system first released in 2013. The application is designed to support core functions in archives administration such as accessioning, appraisal, arrangement, description, preservation, and access for materials in all formats, including analog, hybrid, and born-digital content. It facilitates the creation and export of metadata in widely accepted standards such as EAD, MARC, METS, MODS, and Dublin Core. The application is free to download and use, but has a membership model to support its continuing development and sustainability. LYRASIS, a non-profit membership organization helping archives, libraries, museums, and other cultural heritage organizations, is the organizational home for ArchivesSpace, providing resources and services to help grow, support and amplify the community's contributions. ArchivesSpace is currently experiencing a period of intensive development, which will result in a substantially refactored and refined backend and a new public user interface. We also anticipate that among the new features included in upcoming releases will be a new rights management module making ArchivesSpace fully compliant with the PREMIS rights schema and an OAI-PMH responder to support a low-barrier mechanism for interoperability between archival metadata stored in ArchivesSpace and enterprise discovery layers, metadata aggregators, and content management systems. In addition to the substantial efforts of our development partner Hudson Molonglo, our new Technical Lead, Laney McGlohon, is working on mobilizing community development by providing clearer guidelines and processes for committing code and contributing to projects. Beyond the functionality of the application itself, we are very interested in encouraging integrations with other systems used to manage archival collections throughout their lifecycle. An integration of ArchivesSpace and Archivematica, led by staff of Artefactual Systems and the Bentley Historical Library at the University of Michigan, is expected in that application's next release, and we are actively exploring integrations with open source digital repository systems such as Hydra and Islandora with their respective communities. We welcome the involvement of all with an interest in preservation and access to archival collections and encourage you to find more information about ArchivesSpace on our website at http://archivesspace.org and our wiki at http://wiki.archivesspace.org. 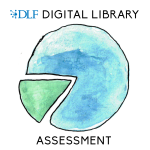 The Cultural Assessment Interest Group is a DLF Assessment Interest Group initiative that sprang from many conversations held during the 2015 DLF Forum in Vancouver. Channeling energy from Dr. Sofiya Noble's keynote ("Power, Privilege, and the Imperative to Act") on our social and cultural responsibilities for the information structures we create, a group of specialists came together to begin evaluating how well librarians are representing and delivering the shared cultural heritage in digital collections. As the group began to gather under the rubric of cultural assessment, we iteratively and collaboratively drafted a group charge with a focus on underlining cultural biases in our digital collections and the work that creates them. Once we started articulating the mission, questions arose regarding our goal to "identify institutional data and practices that may be relevant to building a robust understanding of 'cultural assessment.'" Questions like, how do we determine how socially aware and culturally responsible our digital collections are? How do we conduct an assessment of our digital collections? What is cultural assessment? By attempting to define what the group meant to accomplish, we called upon specialists in Anthropology to help define cultural assessment for digital collections, which helped round out the group perspective. By May 2016, a group of librarians, archivists, anthropologists, and museum specialists came together to develop a common understanding of cultural assessment and has thus far produced an annotated bibliography (this and future publications will be made via the DLF Open Science Framework pages here). The bibliography reflects research that is helpful for framing the notion of cultural assessment in the cultural heritage sector with a particular focus on digital libraries. Resources include detailed legislation for cultural heritage stewardship, collaborative cross-cultural case studies, and articles focused on the current methods of digital collection creation. The bibliography represents the work conducted during 2016 and early 2017, and provides the foundation for future development. The annotated bibliography will be incorporated into a more detailed Cultural Assessment Toolkit that can be referenced as one work though an assessment at their institution. The Cultural Assessment Group is currently in the initial phases of creating the toolkit and will be concentrating on determining the most appropriate form and function over the next year. Because this group has broad applicability and potentially far reaching consequences, we are striving to include as many voices as possible. We welcome input from potential stakeholders regarding the development of the toolkit and will be sure to include them, at the very least, in the user experience testing of the drafts of the toolkit as it evolves. Other areas of interest include, but are not limited to, identifying relevant work, conferences and interest groups, outlining flaws or new directions for cultural assessment and adding resources to the bibliography. The Cultural Assessment Group intends to collaborate quite heavily on future work including the improvement and creation of user personas, impact metrics and the workflow based toolkit. Our hope is to develop a way to make explicit the unintentional biases that permeate the work necessary in the creation of digital collections and outline ways to correct or articulate those biases. Once those biases are exposed, digital collections will have the potential to be even more usable, diverse and transparent. The only requirement for participation in a DLF AIG working group is a willingness to devote a small part of your time contributing to the tools, methods, and body of knowledge on digital library assessment. Attendance at the DLF forum is not a requirement for participation in any of the working groups. Additionally, if your institution is not a DLF member, you can still participate. Most of our work is conducted informally via the Google Group (details on joining the group can be found on the wiki page) and during regular group calls. Feel free to follow up with the group via the links provided, or reach out to the Google Group if this is something you would like to follow. Thank you to those who have thus far contributed and to those who will contribute to this group in the future. This work cannot be done without you. For one year, members of the Open Preservation Foundation (OPF) are eligible for a 10% discount off BitCurator Consortium (BCC) membership fees, and members of the BCC can take advantage of a 10% discount off OPF membership fees. Applications are welcome from existing members as well as those who are new to both organisations. The trial discount membership opportunity runs until 31 December 2017. Both the OPF and BCC are not-for-profits, fostering active communities around open source technologies for long-term digital preservation. Membership fees go directly to hosting, maintenance, and development of open source software ensuring it is robust and reliable. Additional membership highlights include respective voting rights, dedicated member mailing lists, training, community engagement and networking, and priority access to technical support. There are some exciting new BitCurator research and development activities in progress, with the BitCurator team at the School of Information and Library Science at the University of North Carolina Chapel Hill being awarded funding for BitCurator NLP in October 2016 by the Andrew W. Mellon Foundation. The project will develop software for collecting institutions to extract, analyze, and produce reports on features of interest in text extracted from born-digital materials contained in collections. The Open Preservation Foundation is preparing for a new JHOVE release this month. JHOVE is one of the mostly widely used open source digital preservation tools in the community, performing file format identification, validation and characterisation actions. The OPF is also the project lead for veraPDF (open source, industry-supported PDF/A validation). veraPDF 1.0 was released in December 2016 and was recently awarded funding for a six-month testing phase from the PREFORMA project. To discuss any aspects of the offer, please contact Sam Meister, BCC (sam [at] educopia.org) or Becky McGuinness, OPF (becky [at] openpreservation.org). In February, a call was issued for the formation of a Working Group on Labor in Digital Libraries, Archives, and Museums under the umbrella of the Digital Library Federation. Although operating under the DLF, the call extends to those outside the DLF institution. This working group seeks to address the variety of labor issues that occur in the GLAM sector in the ways in which they are specific to digital work. For example, the group will likely work on guidelines for creating and evaluating grant-funded digital positions. In evaluating existing positions and postings, the group will concentrate on digital library, archival, and museum work. However, it is hoped that such guidelines will be used by those in other areas of the sector and may inspire other working groups to create similar guidelines. To read more of the context for the Working Group's creation, view the original post on the DLF website. Membership in the working group is open to all interested persons. As a DLF Working Group, this group will operate under the DLF's Code of Conduct. To join the Working Group, sign up for the Google Group. When the Library of Congress launched the Recommended Formats Statement in 2014, the reason for doing so was very straightforward. In making our acquisition decisions, knowledge of the value of the content and of the source of that content are no longer enough to make an informed decision; it also requires knowledge of the technical characteristics of those items. But the value which the Recommended Formats Statement provides the Library of Congress is not limited to this one institution or even to one particular type of institution. Hierarchies of the technical characteristics that encourage preservation and long-term access are of use to anyone involved with creative works, from the creators to publishers and distributors to archiving institutions. Naturally, it was not enough to create this document in 2014 and then walk away. Changes in the activities behind creative works are frequent enough to require an active, annual engagement with those processes to ensure that the technical characteristics listed in the Recommended Formats Statement provide useful and accurate guidance for anyone with an interest in the preservation of creative works. In the first months of each year, the Library of Congress actively solicits feedback from any institution, group or persons who have thoughts or comments on where changes should be made and how best to ensure that the Statement is as correct and useful as possible across the spectrum of stakeholders. Starting in April, our resident teams of experts come together to take that feedback and provide their own insights and to make whatever revisions might be necessary to improve the Recommended Formats Statement for the coming year. In June/July, a new edition of the Statement is issued, taking on board this input. The Library of Congress has benefitted immeasurably from the feedback it has received in the past years and continues to receive, much of which truly has made this document a better tool for creators, distributors and archivists, offering some substantive help with their business. It is a tool that has been used by library associations, included in the Digital Preservation Coalition's Digital Preservation Handbook and adopted by other libraries, such as the National Library of New Zealand. But simply because we have heard from some colleagues about how to make this better and up-to-date, and therefore a more useful, tool does not mean we do not need and want to hear from more of you. In fact, given how much we have benefitted from the feedback to date, the Library actively encourages more of you to reach out to us, to help us insure both its accuracy and its usefulness across the range of stakeholders. Please let us know through one of the e-mail addresses on our contact page or by e-mailing me directly [thwe [at] loc.gov]. March 6, 2017  "The Institute of Museum and Library Services has announced the availability of new grants for professional development and capacity building opportunities for museums. The program is a special initiative of the Museums for America (MFA) grant program, which supports projects developed by individual museums to enable them to better serve their communities." "Eligible entities for Museums Empowered: Professional Development and Capacity Building Opportunities for Museums are U.S. museums of all sizes and disciplines. Award amounts will either be $5,000-$25,000 with no cost share permitted or $25,001 - $250,000 with at least 1:1 cost share. The application deadline is May 1, 2017. See the application guidelines on the IMLS website for details." Digital Technology: for museum staff to fully explore, understand, and optimize the use of digital technology in museums. Diversity and Inclusion: for museum staff to explore proactive and inclusive ways to invite, engage and strengthen ties with diverse communities. Evaluation: to expand museum staff's evaluation capacity in audience research and program evaluation. Organizational Management: for museum staff to learn best practices in organizational management, strategic thinking, innovation and managing change." February 24, 2017  "Low-income students and their families who lack digital literacy skills and an internet connection at home struggle to keep pace with their peers in the classroom, as nearly all students (96.5% percent) say they are required to use the internet to complete homework assignments outside of school. * Today the American Library Association (ALA) and Cox Communications announced a new partnership that will strengthen and expand our shared commitment to connecting low-income students and their families with technology, providing a stronger foundation for success in the classroom, in continuing education and in job opportunities. Through this new partnership, more low-income families will have access to digital literacy training and resources in their local libraries and online at www.digitallearn.org." "Public Library Association President Felton Thomas, Jr. joined Cox Communications President Pat Esser at the Joel D. Valdez Main Library in downtown Tucson, Arizona to make this important announcement. The partnership with ALA and Cox to expand digital literacy training for students and families is expected to boost educational and career opportunities. Those who receive formal digital literacy training (as opposed to informal assistance from family or friends) are significantly more likely to use the internet to pursue economic opportunities and cultivate social ties." February 21, 2017  "In conjunction with Fair Use/Fair Dealing Week 2017, the Association of Research Libraries is releasing an infographic that refutes 10 popular misperceptions about fair use (PDF). Fair use and fair dealing are vitally important rights for everybody, everywhere  students, faculty, librarians, journalists, and all users of copyrighted material. These doctrines provide balance to the copyright system by allowing the use of copyrighted resources without permission from the rightsholder under certain circumstances, thereby promoting creative progress and accommodating freedom of expression." "The 'Fair Use Myths & Facts' infographic is freely available as a PDF to embed on blogs and websites and to print and hand out at events. Share the link, embed the PDF on your site, print copies for your next event, and continue to support and work with your partners on promoting fair use." February 16, 2017  "The National Information Standards Organization (NISO) is pleased to announce the formal publication of an updated version of the ResourceSync Framework Specification (ANSI/NISO Z39.99-2017). Approved by the American National Standards Institute (ANSI), this 1.1 revision improves a web standard that details various capabilities that a server can implement to allow third-party systems to remain synchronized with evolving resources. Such synchronization is important in the current landscape where Web-based content-not only the metadata about the content-is constantly changing." "ResourceSync was first published as ANSI/NISO Z39.99 in 2014. The standard, also known as the ResourceSync 'core' specification, offers a range of easy-to-implement capabilities that a server may support in order to enable remote systems to remain more tightly in step with its evolving resources. It also describes how a server should advertise the facilities it supports, and presents plentiful examples and use cases that offer guidance for implementation. The recent revisions to the standard, which is pull-based, reflect changes to fix problems related to the conflation of last modification date of a resource and the datetime of notification of a change to the resource...."
"...The ResourceSync specification and video tutorials on using the ANSI/NISO Z39.99-2017 standard are available on the NISO website at http://www.niso.org/workrooms/resourcesync/." February 15, 2017  "The digital library, Internet Archive, is one of eight groups named semi-finalists today in 100&Change, a global competition for a single $100 million grant from the John D. and Catherine T. MacArthur Foundation. The competition seeks bold solutions to critical problems of our time...."
"...Even in this digital age, millions of books, representing a century of knowledge, are still not accessible online to scholars, journalists, students, and the public. Stymied by costs, e-book restrictions, policy risks, and missing infrastructure, libraries have not always been able to meet the digital demand. Nor is access to libraries universal or equitable..."
"...MacArthur's board will select up to five finalists in September. Finalists will present their proposals during a live event on December 11, 2017, before the board names a single recipient to receive $100 million over up to six years." February 13, 2017  "The need for accurate information is not new, but the divisive methods to undermine its credibility is. In response to the recent dialogue on fake news and news literacy, the ALA Intellectual Freedom Committee (IFC) crafted 'Resolution on Access to Accurate Information,' adopted by ALA Council on Jan. 24...."
"...The new resolution acknowledges the problems of fake news, personalized newsfeeds, web search algorithms and the delay of Freedom of Information Act requests. It states that access to accurate information, rather than censorship, is the best way to counter disinformation and media manipulation." February 8, 2017  "On Saturday, Jan. 21, at the 2017 ALA Midwinter Meeting in Atlanta, the Public Library Association (PLA) Board approved the creation of a PLA Task Force on Equity, Diversity and Inclusion." "Co-chaired by Richard Kong, director, Skokie (Illinois) Public Library and Amita Lonial, principal librarian, San Diego (California) County Library, the task force has been charged with developing a strategic and coordinated approach for PLA related to issues of equity, diversity and inclusion (EDI). The task force will explore methods and consider resources to be developed that will allow PLA to take a multifaceted approach. Task force activities include but are not limited to: making recommendations for how EDI content is integrated into PLA programs; elevating successful libraries as models to generate and share best practices; identifying ways PLA might influence equity and inclusion within public libraries; and helping libraries serve diverse communities and staff...."
"...Public libraries have a unique and unparalleled ability to bring people and knowledge together. PLA is committed to its core values of openness and inclusiveness and supports the recent statement from the American Library Association (ALA), opposing the new administration's policies that contradict core library values. The PLA Task Force on Equity, Diversity and Inclusion will work to strengthen the organization's commitment to its core values, while ensuring issues of EDI remain a top priority." February 6, 2017  "John Wiley & Sons Inc....is pleased to announce the launch of a content sharing pilot on Wiley Online Library. Content sharing will facilitate research collaboration by providing authors and subscribers with a simple tool for sharing free-to-read full-text articles with non-subscribers. In addition, the pilot will provide the public with greater access to the latest research discoveries when linking to Wiley articles from over 50 media outlets globally. The author sharing pilot will launch for all journals across the Wiley portfolio. Subscriber and media sharing will be piloted with 180 titles. The pilot is another step in Wiley's mission to support researchers and make sharing easier for all...."
"Author sharing: will enhance the author experience by enabling authors to share their full-text research with their peers as well as the free-to-read version with non-subscribers. Following on from the launch of Wiley's new Author Services site in December, author sharing underscores Wiley's commitment to providing a dynamic authoring experience and supporting authors throughout the life of their paper. Subscriber sharing: will enable subscribers to share full-text free-to-read articles with non-subscribers on Wiley Online Library. This includes sharing research via email, social media and on Scholarly Collaboration Networks that are signatories to the Voluntary Principles for Article Sharing on Scholarly Collaboration Networks. Subscribers include individual and institutional users with a license to Wiley journals." February 2, 2017  "As part of delivering on the vision of a UK national digital library, Jisc and OCLC announce a partnership to build a new shared service that will aggregate academic bibliographic data at scale, improving library collection management and resource discovery for students and researchers." "Jisc, the digital solutions provider for UK education and research, today announced that OCLC, the global library cooperative, has been awarded the contract to develop a new National Bibliographic Knowledgebase (NBK)." "The NBK, originally proposed in Jisc's National Monograph Strategy, will support the learning and research needs of the UK higher education community. The vision is to extend the capabilities of the current Copac service, by investing in technology that can ingest diverse library data at higher speed and greater volume. The new service will enable a shift in the way that libraries manage their print and digital collections and in the ways that people access those resources." February 1, 2017  "The Institute of Museum and Library Services announces a new grant opportunity as part of its Community Catalyst initiative. With Activating Community Opportunities Using Museums/Libraries as Assets - A National Leadership Grants Special Initiative, IMLS invites proposals to test and develop museum and library collaborative approaches for bringing about positive community change." "Eligible entities are libraries, museums, institutions of higher education, and non-profit community organizations with experience in library, archive or museum projects and in managing grants for community development work. Award amounts will range from $25,000 to $150,000, and a one-to-one cost share is required. The application deadline is April 3, 2017. See the application guidelines on the IMLS website for details." January 25, 2017  "The Digital Preservation Coalition launches its new Commercial Supporter programme today, with the announcement that digital preservation specialist, Preservica, has committed to partnering with the Coalition to create long-term meaningful relationships between DPC members and commercial solution providers." "This new Commercial Supporter Programme is good news for vendors, who already contribute much needed perspectives into the DPC's discussions on an ad hoc basis; and for members, with the programme enabling much greater insight into their needs and requirements. The DPC's Board recognises the need for an environment where solution providers and members can collaborate and learn from each other, whilst protecting the independence gained from a widely-understood vendor neutrality...."
"...Any commercial organisation may apply for Supporter status and in return will be invited to participate in and extend the activities of the Coalition, with full acknowledgement of their support provided on the DPC website and in relevant publications. Commercial Supporters also have early access to draft outlines of DPC Technology Watch Reports and other published output, an invitation to an annual trade fare and horizon scanning meeting with DPC members, as well as the opportunity to showcase products and services through webinars and relevant briefing days." "The not-for-profit DPC is an advocate and catalyst for digital preservation working with its members to ensure our digital memory is accessible tomorrow." January 10, 2017  "A new report from the Institute of Museum and Library Services and Reinvestment Fund provides insights for libraries and museums to connect with their communities in newer and deeper ways. Produced as part of the Community Catalyst initiative, the 59-page report is a handbook for libraries and museums to position themselves as critical sites within broader social and institutional networks that support community wellbeing." "Strengthening Networks, Sparking Change: Museums and Libraries as Community Catalysts combines findings from a literature scan and input from the library, museum and community revitalization fields with case studies about the experiences and vision of museums and libraries working to spur change in their communities. It describes the complementary conceptual frameworks of social wellbeing and collective impact and explains how libraries and museums can use these concepts to partner with community-based organizations, government agencies and other cultural or educational organizations. It catalogs how partnerships are initiated; what tools and methods are available to assess community need and evaluate impact; and the skills and competencies needed to sustain partnerships."